The George Harrison estate is happy to announce HariSongs, a new label created to celebrate the Indian classical music George loved and believed would “help as a balance towards a peaceful daily life.” HariSongs launches today with two reissues in honour of both Ravi Shankar’s birthday (b. 7th April, 1920) and Ali Akbar Khan’s birthday (b. 14th April, 1922) this month. Ravi Shankar and Ali Akbar Khan’s In Concert 1972, and Ravi Shankar’s Chants of India, are now available for the first time via streaming outlets, as well as to download. Watch the Chants of India trailer, featuring rare interview footage with Ravi and George above. March 23, 2018 – San Diego – Take a journey into the realm of Ravi Shankar’s music with his senior disciples Gaurav Mazumdar (sitar), Barry Phillips (cello), ​Ashwini Shankar (shehnai), and Arup Chattopadhyay (tabla). Grammy nominated Mazumdar has collaborated with composers including Philip Glass and performed at the Vatican. 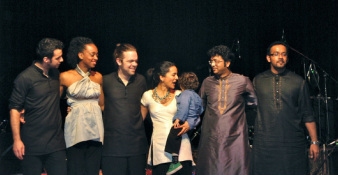 Grammy winner Phillips has toured worldwide with The Anoushka Shankar Project, performing at venues such as the Hollywood Bowl, The Royal Albert Hall-London, and Sydney Opera House. Born into a family of renowned shehnai musicians, Shankar began playing at a young age and has entertained audiences across the globe. Currently a teacher and visiting lecturer, Chattopadhyay has played at Carnegie Hall, Kennedy Center, and Lincoln Center. September 2017. 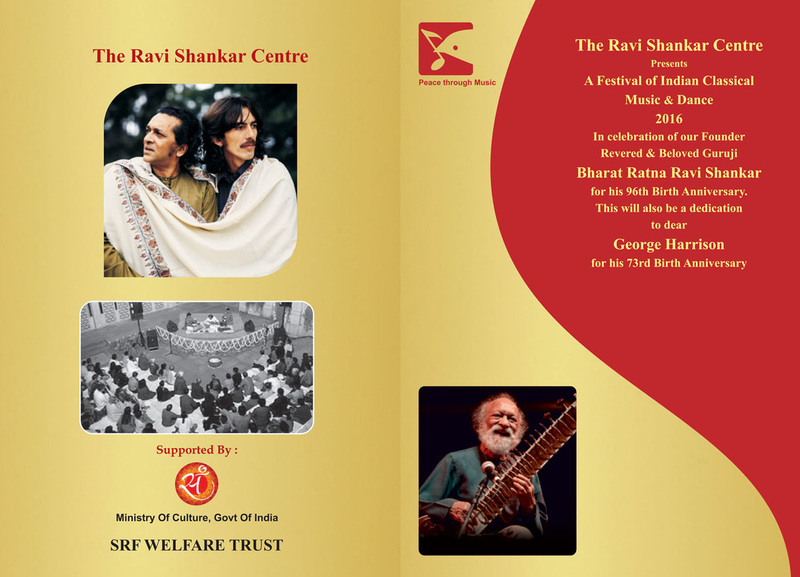 Ravi Shankar Centre, Chankayapuri, New Delhi, India. Classes at RIMPA (Ravi Shankar Institute for Music and Performing Arts) have resumed. Only talented and serious students of music are accepted. Gaurav Mazumdar and Parimal Sadaphal are some of the students taking the classes. ​Master classes for advanced students will be conducted by our visiting disciples of Guruji. 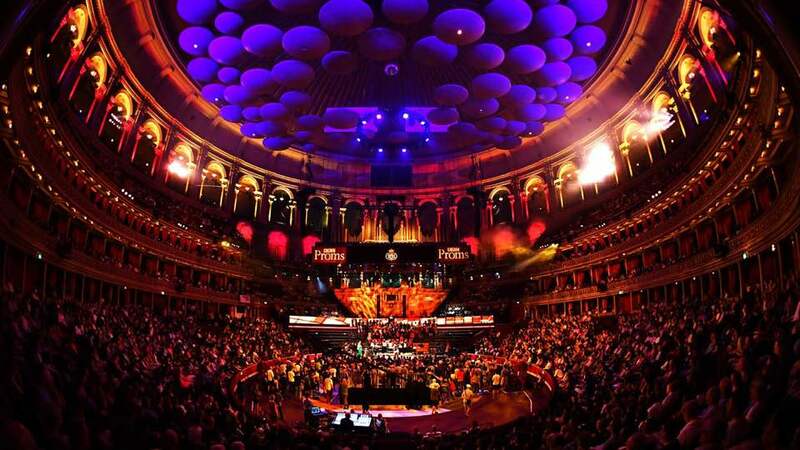 ​Until now, Anoushka Shankar, Vishwa Mohan Bhatt and Bickram Ghosh have confirmed their participation. Sukanya Shankar will be personally conducting workshops on presentation and career prospects, and as always, will oversee all the activities at RIMPA making sure the work continued there is in sync with Guruji's music and vision. 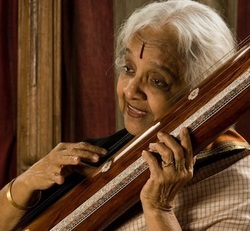 ​In the mid-1960s a rising star of Western classical music met the ‘Godfather’ of the Indian classical tradition. 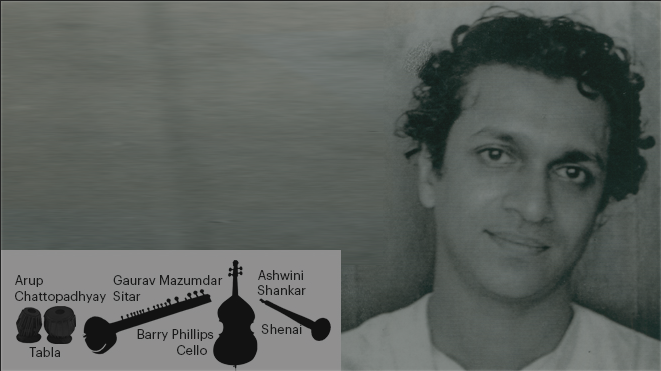 The result was a collision of musical worlds and – some 25 years later – a studio album that combined Glass’s American Minimalism with Shankar’s sitar and the traditions of Hindustani classical music. A hypnotic flow of sound, blending cello, saxophone and other Western instruments with the glittering pulse of the sitar, Passages was presented here in its first complete live performance. 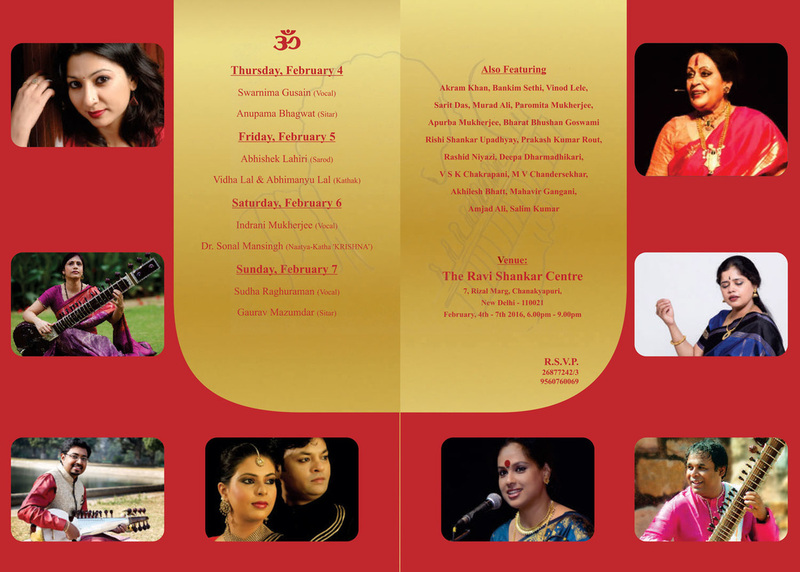 ​and a host of Indian musicians including Ravichandra Kulur (bansuri), ﻿Gaurav Mazumdar﻿ (sitar), with Alexa Mason (soprano). The 80 minute broadcast is available by clicking here. Else it is also available here. ​Beethoven, Copland, Elgar, Mozart, Respighi, and the Ravi Shankar's Symphony, fourth movement "Banjar." May 12, 2017. The opera premieres in Curve, Leicester, and tours through the Lowery in Salford, and the Symphony Hall in Birmingham, before its London performance. The opera, on which Ravi Shankar worked with David Murphy, before Shankar's death in 2012, is a love letter to his wife Sukanya, and draws on both the personal and the mythological, blurring the lines between Shankar’s extraordinary life and the major Sanskrit epic of ancient India Mahabharata. Directed by Suba Das, choreographed by Aakash Odedra, with David Murphy conducting the London Philharmonic Orchestra. May 8, 2017. The Museum hosted Sukanya Shankar of the Ravi Shankar Foundation when she visited the museum to dress a mannequin of her late husband, Ravi Shankar, for an upcoming display in the Artist Gallery. The outfit, on loan to MIM from the foundation, is the one that Maestro Shankar wore during the historic Concert for Bangladesh organized by former Beatles lead guitarist George Harrison and the Indian sitar master in 1971. 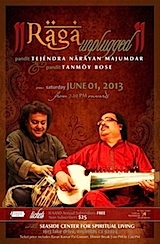 The display will also showcase two sitars played by Shankar and other artifacts from the Concert for Bangladesh. ​March 19, 2017 - Jewish Community Centre, Los Angeles, Ca., USA. The memorable program offered listeners a consummate experience in entertainment, placing equal emphasis on melody, and rhythm. ​April 17, 2016 - Balboa Theater, San Diego, Ca. Anoushka explores a fascinating world by fusing electronica mixed with traditional acoustic performance, supported by an ensemble of Western and Eastern musicians. Anoushka’s latest solo album released on Deutsche Grammophone. July 10, 2015 - Home is a pure Indian classical album which showcases the meditative and virtuosic qualities of the Indian raga. Home features two ragas, one of which is a creation of Ravi Shankar’s, and with them Anoushka shares an intimate, heartfelt live performance in the traditional style. 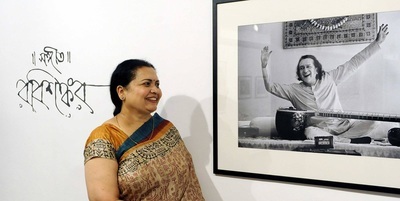 Wednesday, April 29, 2015 - The exhibit marked the first in the United States to celebrate India's most esteemed musician. Through a collection of sitars, artifacts and rare photographs from the Shankar family, the exhibit will provide visitors with a one-of-a-kind glimpse into the GRAMMY-winning world music icon's early life, the roots of his musicality and his vast impact on Western music. The exhibit will feature: A collection of sitars played by Shankar, including one from the 1930s; Shankar's GRAMMY Awards, including the 1972 Album Of The Year trophy for Concert For Bangladesh; Performance attire, including outfits worn at Woodstock in 1969 and the Concert for Bangladesh; The performance box from Shankar's final concert in 2012; Rare photographs from the Shankar family collection; Handwritten letters and music ideas. OPEN TO THE PUBLIC FROM APRIL 29, 2015. In 2014, Ravi's "Sukanya" opera getting some early preview action. "The result is a genuine dialogue between East and West..."
Exhibition in Spain:"Ravi Shankar: A Life in Music"
Photos from the opening of the wonderful exposition at Casa De La India, Valladolid, Spain. August 6, 1976, celebrated the 20th anniversary of Ravi Shankar's first US concert appearance. Ravi Shankar organized a dusk ‘til dawn concert at the historic St. John the Divine cathedral in New York City. The concert, featuring many acts of the day and several virtuosos of the Indian classical world, ended at dawn with an extended set from the Maestro. To mark the 60th anniversary of his first introduction to the West, EMW Music is proud to release his remastered concert as the fourth installment of our Nine Decades series. Accompanied by the great Alla Rakha on Tabla, the tracks, including Cathedral Multani and Cathedral Vachaspati, are pure improvisational mastery! "Ravi Shankar's intuition and his ability to drop away from the constraints of time and space were what created the joy and playfulness that millions of people continue to enjoy in his playing." "In short this is prime Ravi Shankar, essential though as yet unknown until ﻿now for all those who had the misfortune of missing the performance. I believe I was working the midnight shift that night in New Jersey. For myself and the rest of us who couldn't be there this is a revelation; for those who were it will be a moving reminder, an excellently recorded﻿ commemoration and celebration." 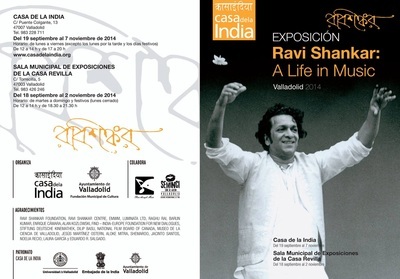 Ravi Shanka﻿r's ﻿final vision: the first ever East-West Opera! Bringing to life the groundbreaking artistic vision of Ravi Shankar, one of the most influential musicians of all time. Ravi Shankar’s final artistic vision is to create the world’s first East-West opera, joyfully uniting the music of both hemispheres in an entertaining, uplifting work that also communicates the elements of Indian spirituality that were so important to him. It will unite the power of music, sound and vision in a groundbreaking combination. Our focus turned to the Opera Sukanya immediately after the world premiere of his Symphony in 2010. READ MORE & Listen to what the world’s first East-West Opera will sound like. 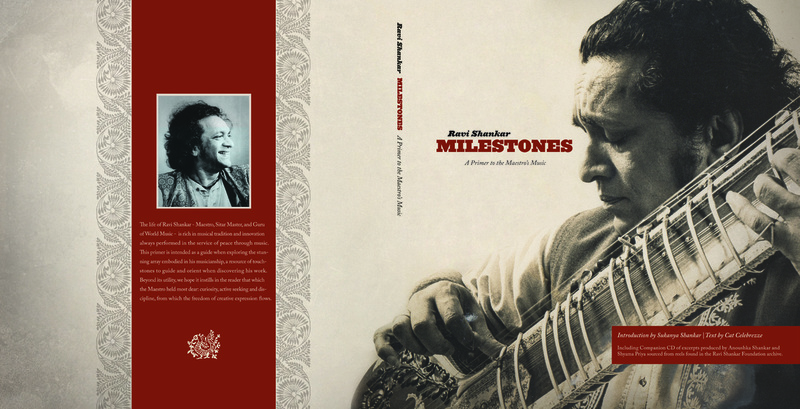 Created by the Ravi Shankar Foundation in celebration of what would have been Shankar’s 94th birthday on April 7, 2014, Ravi Shankar: Milestones is intended as a guide for exploring the stunning array embodied in Shankar’s musicianship, and as a launching pad for discovery. The book instills in the reader that which the Maestro held most dear: curiosity and discipline - from which the freedom of all creative expression flows. The book is accompanied by a companion CD of “illustration” excerpts. Ravi Shankar: Milestones is the culmination of work made possible by the support of East Meets West Music and generous funding from a GRAMMY Foundation Preservation Grant. 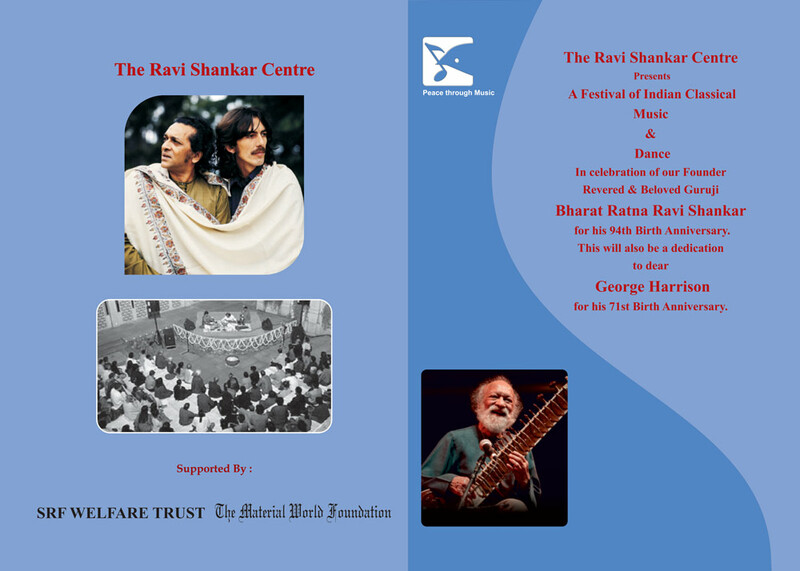 The book and Companion CD will be available exclusively through the Ravi Shankar Foundation’s blurb.com page, and as a thank you gift to patrons who make donations of $250 or more directly to the Ravi Shankar Foundation, as well as being donated to select educational institutions. The illustration tracks will be available on iTunes. Click for her new music video “Lasya,” a live version of the ﻿piece take﻿n from her latest album ﻿“Traces of ﻿you”. Happy Birthday Ravi Shankar. Forever in our thoughts. Ravi Shankar, born April 7, 1920. It’s not every day that a daughter gets to sing for her father. And especially when the father happens to be the late Pandit Ravi Shankar, it’s a memorial of a notably bigger proportion from daughter, songwriter, composer and sitarist Anoushka Shankar. 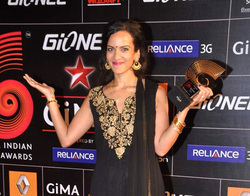 Anoushka Shankar on the father factor, li’ Zubin and music apps she uses. 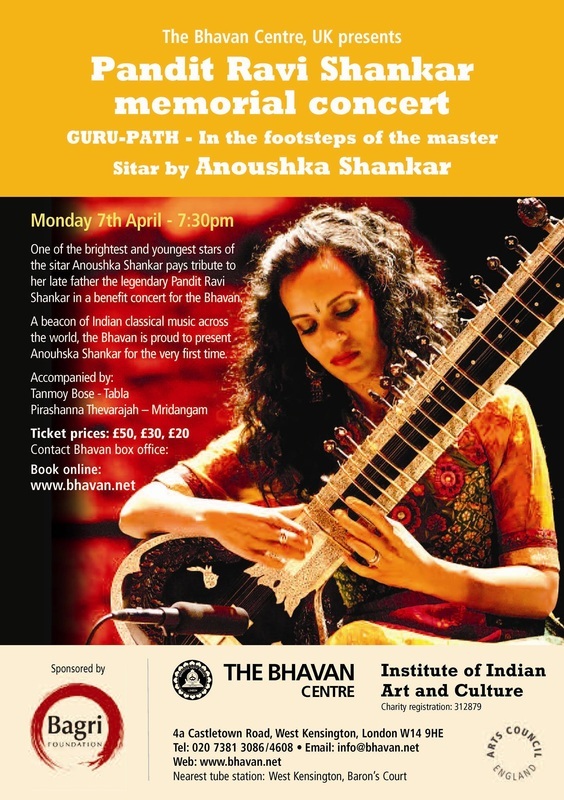 One of the brightest and youngest stars of the sitar Anoushka Shankar pays tribute to her late father, the legendary Pandit Ravi Shankar in this benefit concert for the Bhavan. A beacon of Indian classical music across the world, the Bhavan is proud to present Anoushka Shankar for the every first time. The event is sponsored by the Bagri Foundation. The 50th anniversary of the Beatles appearing on the Ed Sullivan is just a week away. This weekend I'm going to focus on the two Beatles who have died, George Harrison and John Lennon. In their post Beatles careers, each had a day that stands out. Let's take a look at those days, starting with Harrison. SEE THE ENTIRE LIST OF 2014's WINNERS HERE! SEE ALL ANOUSHKA'S TOUR DATES HERE! That the City of Joy is a music lovers' haven was proved yet again at the second edition of Shraddhayanjali. 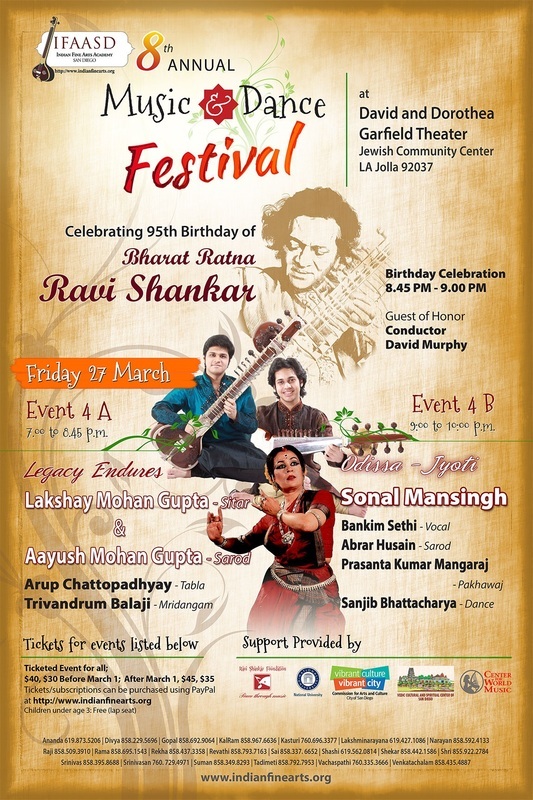 The three-day cultural festival organized as a tribute to legendary sitarist Pandit Ravi Shankar at Barisha recently. Global Village continues with Best of 2013 - Features Ravi on Wednesday, Jan 22! "Global Village highlights some unusual musical pairings this time around, including ... great Ravi Shankar with violin master Yehudi Menuhin." - From www.kmuw.org. The Oakland East Bay Symphony presents: 'Notes from India' on 3/28, featuring music by Ravi Shankar and Philip Glass. Sitarist Anoushka Shankar is a symbol of India’s past and future, her intensely beautiful music grounded in Indian classical but encompassing dance, electronic, and pop styles. Her seventh album, Traces of You, includes guest vocals from half-sister Norah Jones, and reveals Shankar’s increasingly mature composition and orchestration skills. If ever music reflected a nation’s moment in time, Traces of You’s soulful sitar, swelling orchestrations, and pulsing beats provide a contemporary soundtrack to a land and its people developing at breakneck speed. Anoushka Shankar speaking at HT Leadership Summit in New Delhi, Dec. 2013. Noted sitar player Anoushka Shankar and flautist Hariprasad Chaurasia would be the main attraction for music aficionados in next year's edition of Dover Lane Music Conference. 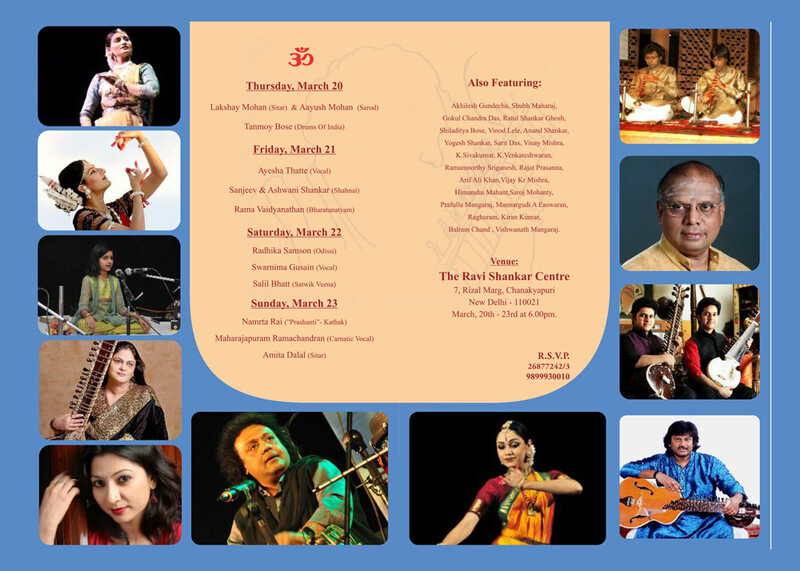 Four night-long musical sessions will be held at Nazrul Mancha from January 22. Hindustani Classical musician and sister in law of Raviji. She had a heavenly voice which would melt any heart. She was a kind and beautiful soul. 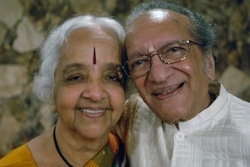 It is a year since my beloved Raviji left his physical abode, but he is present in every breath I take. Sitting here in front of his Concerto Sitar beautifully displayed at the Taj hotel in Mumbai at the Ravi Shankar Suite, I thank God for having given me the opportunity to serve this beautiful soul. What hasn't he done in music? How many millions has he touched with his sacred music! My heart swells with pride and gratitude. Anoushka just performed a concert at the Terrace here. It was a beautiful show, Raviji would have been proud. The song, "The Sun Won't Set," lingers in my mind. Yes, Ravi - the Sun of India - will not set. His music and legacy will keep playing and motivating generations to come! The only way I can heal is to protect and share his work with the world. There is so much to do, I cannot do it alone and I seek all your help in this huge task. Ravi Shankar; 2014 Best World Album Grammy Nominee! Ravi Shankar gets posthumous nomination at 56th Grammy Awards for 'The Living Room Sessions Part 2' in World Music section. Anoushka Shankar, daughter of legendary sitarist Ravi Shankar, will visit India next month to promote her new single 'Traces Of You' from her Indo- Western album of the same name. The 32-year-old Grammy nominated sitarist's two city concert in Mumbai and Delhi will take place on December 12 and December 13. 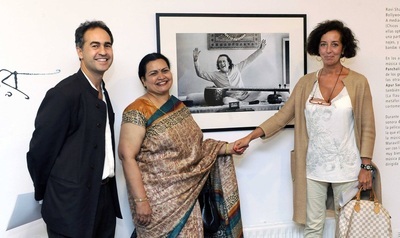 "My music is somewhat like me, eclectic, soulful, feminine and celebratory," says Anoushka Shankar, one of the best sitar players, composers and daughter of legendary sitarist Ravi Shankar. 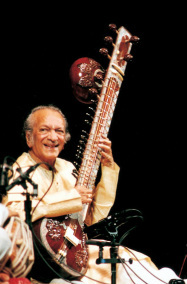 The music world lost one of its treasures last December with the passing of Ravi Shankar. A brilliant sitarist, he played a key role in introducing western audiences to Indian classical music, first through his relationship with The Beatles' George Harrison and later with memorable performances at the Monterey Pop Festival and Woodstock. Fortunately, he leaves us with a rich catalog of recorded material and his legacy also continues through his gifted daughter, Anoushka Shankar. NEW DELHI: Legendary singer Manna Dey, who passed away recently, will be honoured with a special tribute along with Pandit Ravi Shankar at the 44th International Film Festival of India to be held in Goa from November 20 to 30. As per the festival tradition, IFFI pays tribute to noted film personalities who passed away in the year preceding the festival. In the 'Homages' section, IFFI invites the family members, friends and well-wishers of the personalities to attend the screenings of the artists' best work. A strong sense of family runs through Grammy-winning Indian musician Anoushka Shankar’s new album Traces Of You. 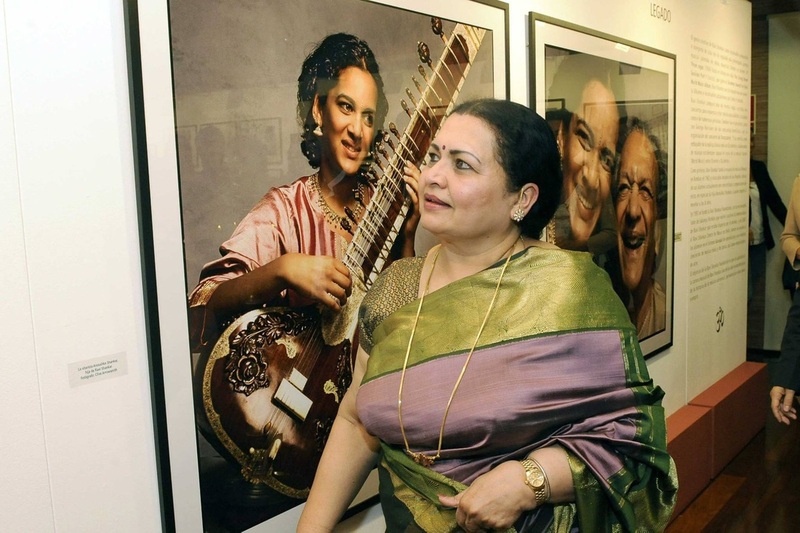 During the recording, she lost her father, the sitar master Ravi Shankar; she also focused on raising her young son, Zubin. 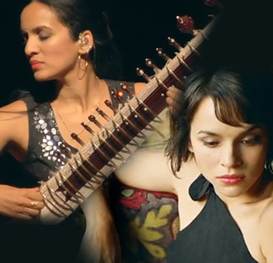 Anuoshka’s half sister Norah Jones lends her famous pipes to the sitar-laden “The Sun Won’t Set,” marking their first collaboration in many years. The album is inspired by the idea that each of us leaves an indelible mark on everyone we come in contact with. The distinctive yearning twang of her sitar resonated through the Alys Stephens Center's Jemison Concert Hall Thursday night, as she began a tour that will take her through North America and Europe and end in India. It was clear from five supporting musicians on stage that this would be a global venture -- cellists Danny Keane and Tanya Wells doubling on piano, Pirashanna Tevarajah on percussion, Sanjeev Shankar on shehnai, Manu Delago doubling on drums and "hang," a trio of pitched percussion instruments similar to steel drums. "Voice of the Moon," a condensed raga Anoushka composed for her "Rise" album, gave notice that she has remained committed to the Hindustani roots instilled by her father. Starting with a short alap, it accelerated from slow, ornamental pitch bends to a leisurely rhythmic walk to a melodic frenzy, Tevarajah's drumming on the south Indian mridangam and Sanjeev Shankar's double-reed shehnai keeping pace with Anoushka's fiery technique. See entire review. 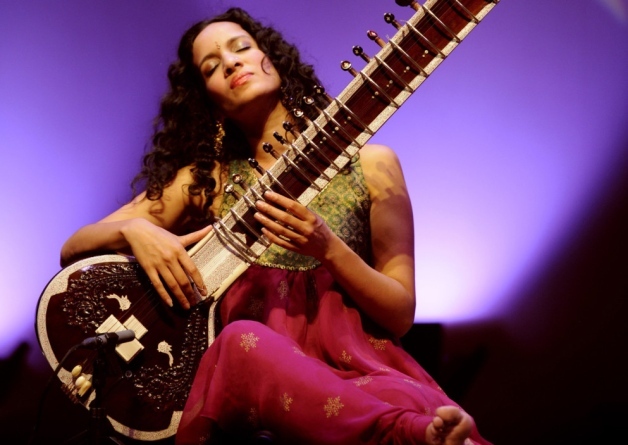 Sitar player and composer Anoushka Shankar's music is deeply rooted in Indian classical music, which she studied from the age of nine under her father, the legendary Ravi Shankar, who passed away last year. Now she has teamed up with producer Nitin Sawhney and her sister, Norah Jones, on a new album entitled Traces of You. Speaking to the BBC's Lucy Hockings, the artist said: "All music comes from a personal place and for me it was really about a journey that I ended up going on, that I hadn't even really meant to go on". Watch Anoushka Shankar: What is a Raga? 'Traces of You' available now! USTAV Series - Celebrating Ravi Shankar - Available now! See more Ravi Shankar Products! A unique evening presentation of this major new cultural work. This event will feature acclaimed novelist Amit Chaudhuri and conductor and composer David Murphy who worked and studied for many years with Pandit Ravi Shankar. They will show how along with Anoushka Shankar they are completing the writing of an opera, based on an episode from the Mahabharata and conceived by Ravi Shankar before his death in December 2012. We are also delighted to say we will be joined by Sukanya Shankar, Ravi Shankar’s wife and his inspiration in conceiving this work. The evening will feature a talk, a film and musical excerpts to show how the opera is moving towards completion in 2014 with its initial performance at the Royal Opera House. The opera promises to be a fitting memorial to the great musician who had such an unprecedented impact on how Indian music and philosophy is understood in Europe and America. Curators sifting through thousands of objects belonging to Britain's musical geniuses — composer Benjamin Britten and opera singer Peter Pears have stumbled upon an ink written page in their private diaries where the duo recalls their experience of having heard Pandit Ravi Shankar perform live. Britten and Pears had visited India in the early 1950s. Their diary, which was used to jot down their daily experiences in India calls Shankar "the real thing". The letter will be part of a museum in the Red House in Suffolk - where Britten and Pears lived and worked from 1957 until their death. From 8 June 2013 the site re-opens in Aldeburgh after a £4.7 million redevelopment to commemorate the 100th birth anniversary of Britten — the world's most performed opera composer born in the 20th century. The page with observations by Britten and Pears, available with TOI reads "an hour of the real thing. Ravi Shankar, a wonderful virtuoso, played his own Indian music to us at the radio station. Brilliant, fascinating, stimulating, wonderfully played. Unbelievable skill and invention." The April 2013 issue of the research journal "Trends in Cognitive Science" refers to a 1994 study in the Journal of European Applied Physiology where the author selected three pieces of music that differed in their rhythmic characteristics, including a Strauss waltz (regular rhythm), a ‘modern classic’ by H.W. Henze (irregular rhythm) and a ‘meditative piece’ by Ravi Shankar (non-rhythmic; ). Neurochemical effects of music were compared to a silent baseline. The meditative piece significantly reduced plasma levels of cortisol and norepinephrine, whereas the other two pieces had no effect. Norepinephrine neurons in the brain stem and midbrain regulate the autonomic responses of heart rate, blood pressure, and respiration. On Animals and Plants, Too! Tests on the effects of music on living organisms besides humans have shown that special pieces of music (including The Blue Danube) aid hens in laying more eggs. Music can also help cows to yield more milk. Researchers from Canada and the former Soviet Union found that wheat will grow faster when exposed to special ultrasonic and musical sounds. Rats were tested by psychologists to see how they would react to Bach's music and rock music. The rats were placed into two different boxes. Rock music was played in one of the boxes while Bach's music was played in the other box. The rats could choose to switch boxes through a tunnel that connected both boxes. Almost all of the rats chose to go into the box with the Bach music even after the type of music was switched from one box to the other. Research took a new avenue when in 1968 a college student, Dorthy Retallack, started researching the effects of music on plants. She took her focus off of studying the beat and put in on studying the different sounds of music. Retallack tested the effects of music on plant growth by using music styles including classical, jazz, pop, rock, acid rock, East Indian, and country. She found that the plants grew well for almost every type of music except rock and acid rock. Jazz, classical, and Ravi Shankar turned out to be the most helpful to the plants. However, the plants tested with the rock music withered and died. The acid rock music also had negative effects on the plant growth. The Golden Trio - A tribute to Ravi Shankar. The Grammy Museum is proud to celebrate Indian American music in August 2013 as part of our I love LA: Celebrating Los Angeles' Musical Melting Pot community initiative. Join us as we explore contemporary and classical Indian music through live performances, film screenings, lectures, and more. See list of events below. Throughout the month of August, the GRAMMY Museum will feature an exhibit display case containing artifacts of Ravi Shankar. Doors open at 4:30, program begins at 5 pm. This program is free. Please rsvp to programs@grammymuseum.org. Film screening and panel discussion with Mrs. Sukanya Shankar and film maker Alan Kazlowski regarding the life and music of Ravi Shankar. Doors open at 7pm, program begins at 7:30pm. Program is free but reservation required. RSVP to programs@grammymuseum.org. Morning program for children and families. Doors open at 10:30am, program begins at 11am. 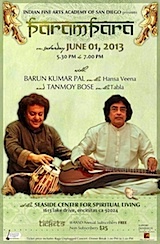 August 1, 2013, will mark the 42nd anniversary of the Concert for Bangladesh. Deeply moved by the plight of more than eight million refugees who came to India during the Bangladesh Freedon struggle from Pakistan, Ravi Shankar wanted to help in any way he could. He planned to arrange a concert and collect money for the refugees. He approached his dear friend George to help him raise money for this cause. This humanitarian concern from Ravi Shankar sowed the seed of the concept for the concert for Bangladesh. With the help George Harrison this concert became the first magnus effort in fund raising paving the way for many others to do charity concerts.The concert was held in New York's Madison Square Garden, and played close to 40,000 people, raising $243,000 overnight for a fund administered by UNICEF. Since then, profits from the sales of the movie and the soundtrack contributed more than $17,000,000 to UNICEF which has distributed the funds to Bangladesh as well as other trouble spots around the world. George Harrison and Ravi Shankar also talk about it here. Ravi Shankar Foundation is organising the students of Mr. C.M. Venkatachalam to sing Ravi Shankar's compositions here at the residence on the Sunday , the 21st of July. Students from the Ravi Shankar Institute for Music and Performing Arts (RIMPA) performing at the Mothers International School, Delhi, on the 6th July. 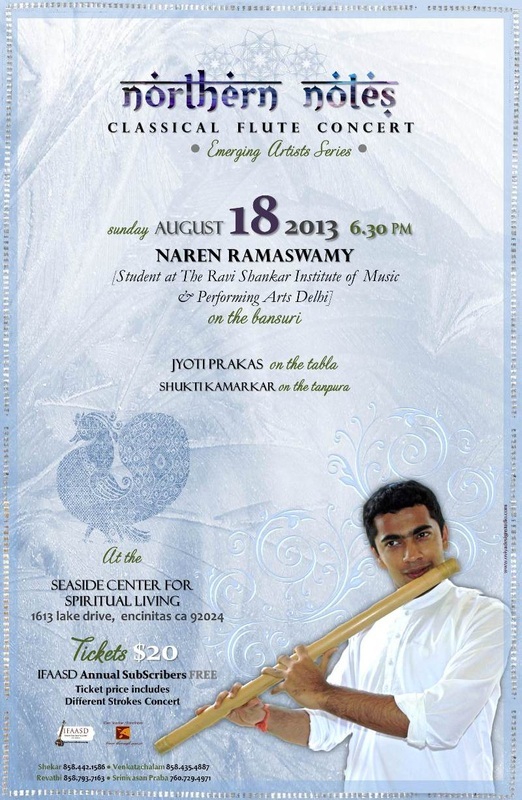 One of Ravi Shankar's senior students Barun Kumar Pal, Tanmoy Bose, andTejendra Narayan Majumdar, will perform in Encinitas, CA. at The Seaside Center for Spiritual Living, 1613 Lake Drive. 5:30-7pm: Parampara. Barun Kumar Pal (Hansa Veena) and Tanmoy Bose(Tabla). 7:20 onwards: Raga Unplugged: Tejendra Narayan Majumdar (Sarod), Tanmoy Bose (Tabla). 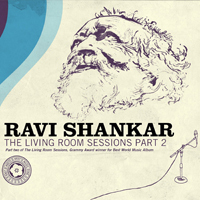 New CD release, "The Living Room Sessions - Part 2," contains three of the last session recordings made by Ravi Shankar before his death. The Maestro is joined on the recording by his long-time tabla accompanist, Tanmoy Bose. "Shankar's playing is characterized by such intensity, clarity, and delight that it reveals, once more, the maestro's musical genius as something to reckon with, even in his tenth decade. It is our beloved Guruji's birthday today. We would like to thank everyone for their love, concern and support. It really means a lot to us. We are having a small Havan and pooja at the Centre in Delhi. Let us all celebrate the life of this great Soul on this auspicious day.